One of the greatest difficulties of No Re-Watch November was purchasing DVD's and Blu-Ray's of films I had already seen, and not being able to watch them until the month was over. The hardest one to resist was 'Blow Out' which I purchased on Blu-Ray, it took every fibre of my being to resist rewatching this fantastic film, so on the first day of December, I jumped at the chance at watched the film on Blu-Ray. 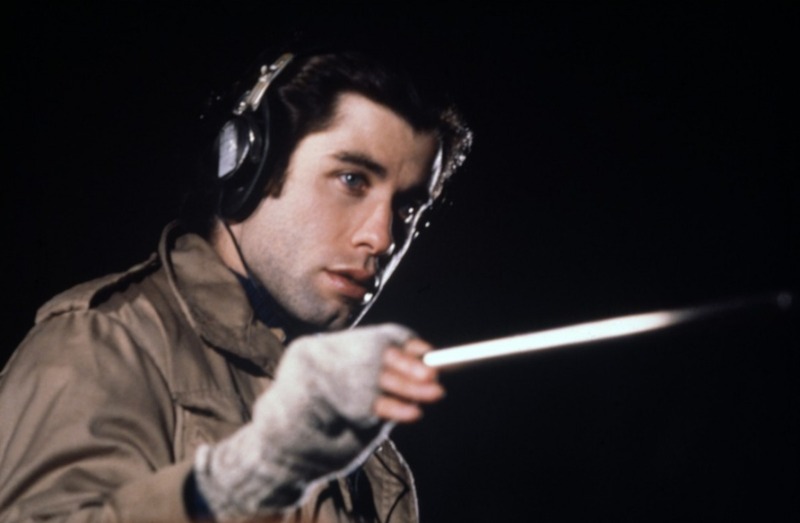 Jack Terry (John Travolta) is a sound recordist for low budget Horror movies. One night, while recording sounds for his latest schlock film, Jack witnesses a car crash that sees the death of a senator, Jack is able to save a girl in the crash, but becomes increasingly aware this was no accident, and is trapped in a world of conspiracy theories and murder. De Palma's love of Hitchcockian cinema is as present as ever in this film,And while he can be criticize for relying too much on Hitchcock's techniques,De Palma does use them to Perfection in "Blow Out" to create an enthralling and mysterious Crime-Drama. Sometimes hes allusions to Hitchcock are quite obvious and sometimes only true Hitch fans may recognize them, but they are always fantastic and work every single time. The story is utterly absorbing and can be viewed as a depiction of Chappaquiddick incident and even The assassination Of President Kennedy,as a film Sound recordist accidentally witnesses a murder and captures the evidence on tape and soon becomes entangled in a Murder plot that puts his life at risk. The performances in this film are fantastic all round,John Travolta is sensational,giving a performance that rivals his work in "Pulp Fiction" as a career best effort. Nancy Allen is great as the female lead. John Lithgow is phenomenal, giving an incredibly creepy performance. In Australia, we unfortunately don't get Criterion Collection Blu-Ray releases, but fortunately we were recently (I believe) we were finally able to get a 'Blow Out' Blu-Ray Release, its a bare bones disc, it only features a Theatrical trailer and doesn't even have scene selections, but the transfer is very solid, although a little grainy at times, Its cheap and I definitely recommend picking it up, if you have the chance. "Blow Out" is such a powerful and underrated film, It really deserves to be fully appreciated and recognized for its beautiful craftsmanship. If you haven't seen this, you absolutely owe it to yourself to check it out, Phenomenal film.